With the first World Wi-Fi Day celebrated yesterday, an interesting insight by Google throws light on the utility of public Wi-Fi hotspots in India. 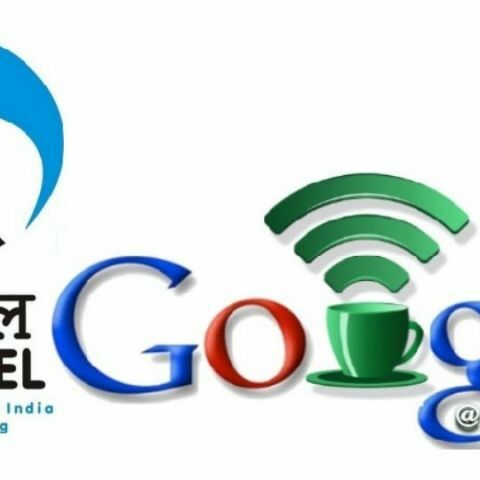 Google India’s blog post, published yesterday, reveals 1.5 million Indians accessing Google free public Wi-Fi hotspots, spread across 19 railways stations as of now, in association with Railtel. In a country that is being considered as the next biggest base of Internet users, this is a sign of the advancement that India has achieved in terms of connectivity, as well as promoting Internet-accessible devices. Google rolled out the first free public Wi-Fi hotspot at Mumbai Central, Maharashtra, back in January 2016. Since then, Google has extended its public Wi-Fi network to 18 more cities, including Ernakulam in the southern end of India, to Jaipur in North-Western India and Guwahati in North-East. This has fallen in line with the steady increase in the status of connectivity and connected devices in India. The spread of connectivity and wider availability of spectrum has led to Internet services reaching out to more distant corners of India. While basic Internet services are rolling out to areas that were not on the Internet roadmap of India, urban areas are gradually realising better Internet quality. Google notes, an estimated 100,000 people connected to the Railtel network within one week of its launch in Mumbai Central, and since then, the number of users accessing the network has grown exponentially. Nevertheless, one of the biggest hurdles is to get Indian users to the next level of connectivity, where users get to avail more than just the basic services that narrow band internet connectivity offer. The enthusiasm of accessing Internet on broadband, in comparison to low speed services, was noticeable, as more users from Tier 2 cities accessed the network, in comparison to urban zones where reasonably better Internet connectivity has been around for a while. The job, for Google, is far from complete. The rollout of free public Wi-Fi services has only been complete by 20 percent, and the company looks to spread the network wider, beyond the 19 existing sites. The primary mode of data consumption in India is 3G on mobiles, and Google’s statistics state that people are accessing up to 15 times more data than they usually do on personal data packs. The rise of smartphones and Wi-Fi-ready mobile devices have also been a contributing factor to the rise of India’s Internet user base. Most mobile devices nowadays offer at least 3G connectivity and support for connecting to Wi-Fi networks. Prices for such devices begin from as low as Rs. 2,000 ($30), leading to a connectivity boom where more individuals are now getting the tools to connect to the Internet without encountering major expense.